The 2018 Toyota Tacoma is known for its capable, reliable performance and dynamic off-road capabilities, but what some people in Pooler may not know is that the new Toyota Tacoma interior is also totally modern and filled with convenience, comfort, and entertainment features. The driver and front seat passenger are able to separately set their precise temperature preferences with the available dual-zone automatic climate control system. Jobs in the Tacoma can get noisy, but thanks to a cab-to-bed seal, improved aerodynamics, and a front chin spoiler, the cabin remains incredibly quiet for your comfort. While vinyl and cloth upholstery are available, truck shoppers looking for a pickup experience that combines utility with sophistication can opt for the Tacoma Limited’s leather upholstery. 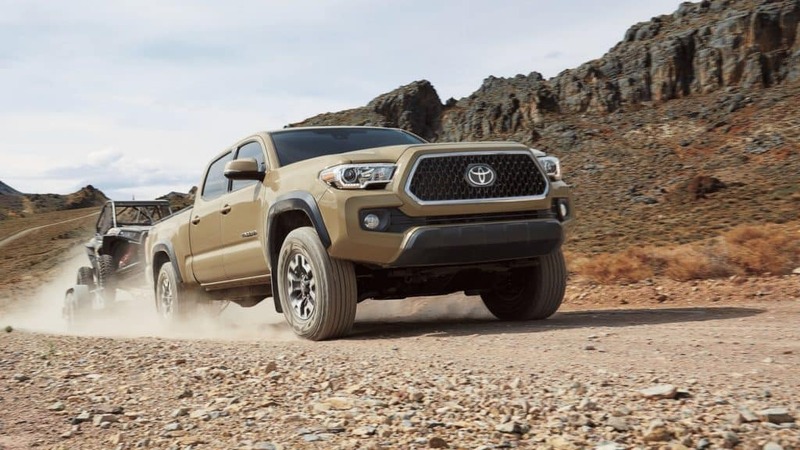 The new Toyota Tacoma has the modern conveniences you’re looking for in a pickup along with plenty of power and performance features to get the job done. Explore the different Tacoma trim levels to learn more, then come test drive the Tacoma in Savannah, GA.